1997 Limited Edition Coca Cola Australian. 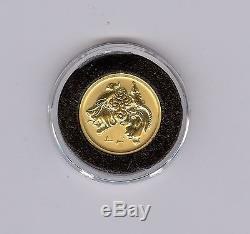 9999 Gold Coin (7.40 grams). Up for your consideration is a 1997 Limited Edition Coca Cola Australian. 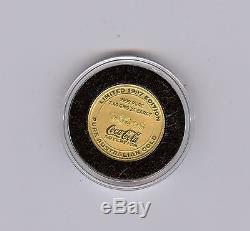 This stunning coin was produced for the Coca Cola company by the Australian Bullion Company. The coin weighs 7.40 grams and will come in an airttie holder with a COA (Certificate of Authenticity). The coin is numbered 09699. I believe a maximum mintage of only 10,000 pieces were struck. The item "1997 Limited Edition Coca Cola Australian.